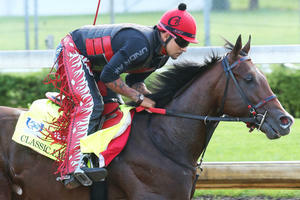 Owned by Godolphin Racing (Sheikh Mohammed of the Maktoum family, the ruling family of Dubai). 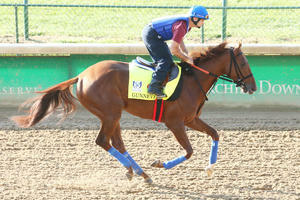 If he wins the Derby, he will be come the first horse to win after exclusive racing international in Europe and UAE. Jockey Christophe Soumillion is a champion jockey from France and rode Mubtaahij to 7th place in the 2015 KY Derby. Sheikh Mohammed is seeking his first KY Derby win as an owner and Thunder Snow will be his 10th try. Thunder Snow was bred in Ireland at Woodpark Stud in County Meath and is part of the first crop of foals by Australian sire, Helmet. 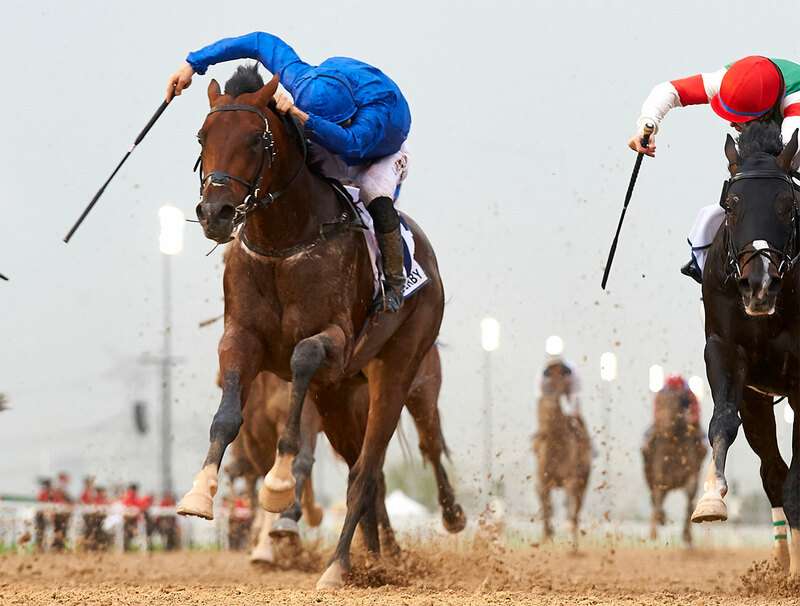 There’s usually two Kentucky Derby questions asked about UAE Derby (G2) winners, both of which apply to this year’s victor Thunder Snow: will they make the trip to Churchill Downs, and are they a realistic chance? Godolphin made a late Triple Crown nomination March 22 for the Saeed bin Suroor-trained Darley homebred, but he’s also nominated for the 2,000 Guineas (G1), run at Newmarket the same day as the Kentucky Derby. 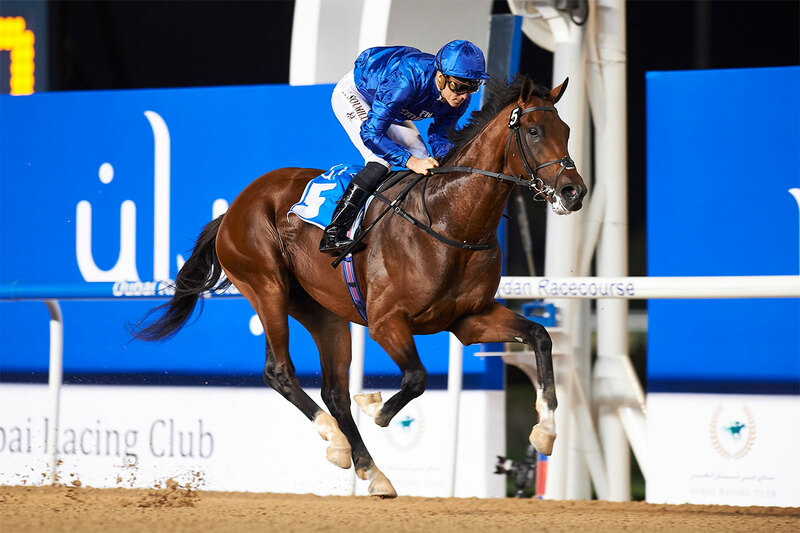 But despite grade I-winning turf form in Europe as a 2-year-old, it’s arguable Thunder Snow has shown better form on dirt in Dubai. At his first dirt start he easily won the UAE 2,000 Guineas, and in the 1-3/16 mile UAE Derby March 25 he defeated the previously unbeaten Japanese colt Epicharis. 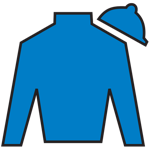 They were 1-1/4 lengths clear of Master Plan, who two starts previously finished second by a length in the Pulpit Stakes to subsequent Tampa Bay Derby (G2) winner Tapwrit. Thunder Snow is from the first northern hemisphere crop of the Australian galloper Helmet, a dual grade I winner at two who later won Australia’s premier 3-year-old mile test, the Caulfield Guineas (G1). Thunder Snow is the fourth black type winner from four foals to race out of the Dubai Destination mare Eastern Joy. The form through Master Plan suggests Thunder Snow has genuine credentials if he runs at Churchill Downs, and he only needs to stretch his stamina a further 1/16 of a mile from Dubai to stay the 1/1-4 mile Kentucky Derby trip. Punters should keep a close eye on Godolphin’s decision.